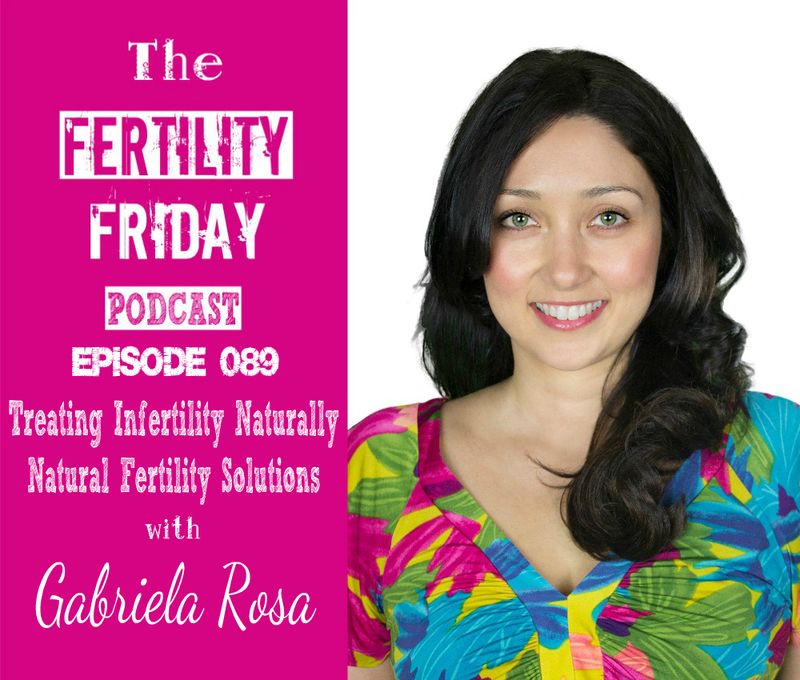 Gabriela is one of Australia’s leading natural fertility experts. Her compassionate approach to natural health care is aimed at educating, inspiring and empowering couples. She hold’s a Masters in Reproductive Medicine and Human Genetics from Sydney University, Australia and she also trained as a naturopathic practitioner. She specializes in the management of women’s health issues from puberty to menopause, men’s health, weight loss and natural fertility. Gabriela is also the founder and clinical director of Natural Fertility & Health Solutions – an integrative medicine practice where she leads a talented team of university trained, science-focused naturopaths who run her successful fertility programs. And she is also the author of 3 acclaimed books on natural fertility solutions including her book Eat Your Way To Parenthood: The Diet Secrets of Highly Fertile Couples Revealed. In today’s show we talk about the importance of getting to the root cause of fertility challenges, why there is no one size fits all approach that works for every woman, and also why acting pregnant now is such an important strategy for optimizing fertility. What are the most common reasons for infertility? How significant is the male partner’s health in the fertility equation? What are the barriers to conception and how do they impact the chances of a woman conceiving? Why is it important for women to “act as if” they are already pregnant when trying to conceive? How important is diet and lifestyle to fertility? Can supplementation alone fix fertility problems? What role do factors like adequate sleep, exercise, and diet play in fertility? Why is it important to focus on factors like stress, rest & relaxation, and your home environment? Intriguing talk but no real insights were provided to help infertile couples not living in Australia. Apart from the diet book of course but that book is the most expensive one I have ever come across! 539 Canadian dollars and no preview available on Amazon! WOW! That is some blind faith investment….Or is there a misplaced decimal point somewhere?? Thanks for the feedback Sarah. Sometimes Amazon has strange pricing. It’s something I’ve seen before. My suggestion would be to email her directly from her website, and one of her staff members may be able to connect you with the book at the appropriate price! Thanks Lisa. I noticed also afterwards that Gabriela is offering a FREE 14-day course to people starting September 12th I think. Anyone interested simply has to register on her site. Plus I was incorrect when I said that her knowledge was only available to Australians. She seems to offer Skype consultations also… could still be expensive but I guess most infertility treatments are. I was luckily able to conceive myself at the age of 41, with the help of charting, shatavari, myoinositol and 600mg of Ubiquinol daily. All of these supplements were self prescribed after much personal research I must confess, so I suppose Gabriela wouldn’t approve. Since my pregnancy became known, a few others have been asking how I finally managed to conceive at my age, hence the interest in Gabriela’s work- since I really only know what seemed to fit for me! I think there really is a decimal point out of place on Amazon because the diet book is about ten times cheaper on Gabriela’s own site! Maybe you can let her know Lisa, abut the error on Amazon?